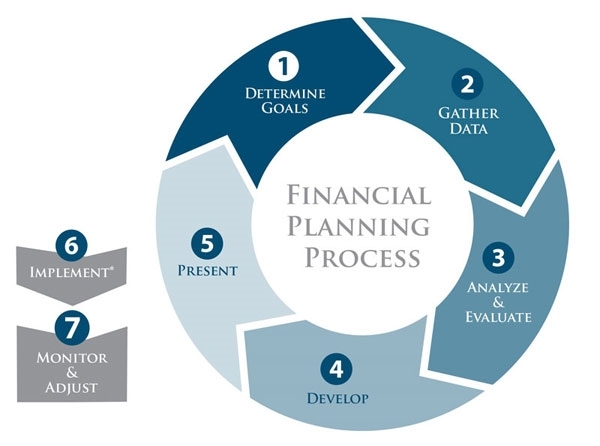 Peter follow's the industry standard financial planning process – which is centered on our clients’ unique needs. Each client situation is different and as such, every recommendation is custom-tailored to meet those needs. First, we meet to establish how we might work together. Next, we gather client data including goals. We develop and present recommendations. Upon delivery of our recommendations, clients have the option to implement with a provider of their choice. Should they choose to implement with us, we will be happy to assist. We then continue to monitor our recommendations over time, make adjustments as necessary and stay in regular contact with our clients throughout the years. Do we have a specific process for our work? Absolutely. Is there any magic to it? Absolutely not. The difference here is that we listen and we care. What we recommend has to serve you better if we are indeed to have a long-term relationship with each other.